This is looks like a shot from “A Shot In The Dark”! I’m thinkin’ ’bout the knees of the Indian on the Land o’ Lakes butter box. No Portugal, this is from RGE Brazilian record. 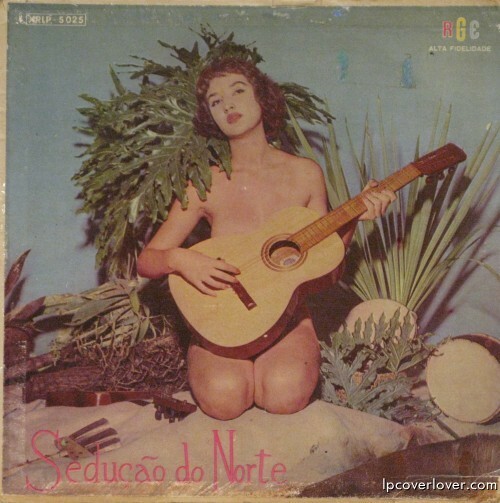 SEDUÇÃO DO NORTE – MÚSICAS DE CAPIBA (1958) RGE XRLP 5025. Yes, this is Brazil’s very own vocal group Titulares do Ritmo, arranged by Guerra Peixe, performing songs from the northern regions of Brazil. Such a carefully elaborated studio decoration… and quite daring then.